10:00 AM Apr. 15th, 2019 Erik Stolpmann Get curious about local outfit O Neptune and their latest single, "Where Did You Go? ", through a chat with guitarist Josh Taylor-Brown! 10:00 AM Apr. 8th, 2019 Erik Stolpmann Get curious about local comedian Mitch Muirhead and his slew of comedy projects, from the Big Comedy Parade at Yuk Yuk's to his online YouTube sketch show! 10:00 AM Apr. 1st, 2019 Erik Stolpmann Get curious about Ottawa Music Lover (Karen Q) and why curating - and loving! - music in the Ottawa scene is super duper important! 10:00 AM Mar. 25th, 2019 Erik Stolpmann Get curious about local alt-indie rockers Pointless Aesthetics and their upcoming show at Live On Elgin! 10:00 AM Mar. 18th, 2019 Erik Stolpmann Get curious about ... a bunch of tunes! That's it, that's all! 10:00 AM Mar. 11th, 2019 Erik Stolpmann Get curious about Eat Party Laugh, a food /​ open jam /​ painting /​ comedy night, with comic Kia Mazhar! 10:00 AM Mar. 4th, 2019 Erik Stolpmann Get curious about local singer/​songwriter Kurtis Adamus, including his influences, perspectives and latest single, "Get To You"
10:00 AM Feb. 18th, 2019 Erik Stolpmann Get curious with Tariq Anwar about his February residency (Multitudes) at Irene's Pub and more about Tariq's thoughts on local music & art! 10:00 AM Feb. 11th, 2019 Erik Stolpmann Get curious about local skate shop Birling, their Game Of Skate tournament and more about their connection to Ottawa's arts and culture with Aaron Cayer! 10:00 AM Feb. 4th, 2019 Erik Stolpmann Get curious about a bunch of totally rad tunes - from Ottawa and beyond! 10:00 AM Jan. 28th, 2019 Erik Stolpmann Get curious about Loon Choir and their latest single, Lust and Divisions! 10:00 AM Jan. 14th, 2019 Shuffle K Get curious as we shuffle through an electric set of 80's tunes! 10:00 AM Dec. 31st, 2018 Erik & Hans Get curious about our faves from 2018 - and a brand new New Year's tune from The Tackies! 10:00 AM Dec. 24th, 2018 Erik Stolpmann & Mary Maloney Get curious about some good ol' merry (and Mary!) tunes on this Christmas Eve morning! 10:00 AM Dec. 17th, 2018 Erik Stolpmann Get curious about the Ottawa Pops Orchestra and their Music of Star Wars performances coming up later this week! 10:00 AM Dec. 10th, 2018 Erik Stolpmann & Evan McKay Get curious about what we've been listening to - and local singer-songwriter Subhraj! 10:00 AM Dec. 3rd, 2018 Erik Stolpmann Get curious about Ottawa's newest artist services - Bad Form - with founder Matias Munoz! 10:00 AM Nov. 26th, 2018 Erik Stolpmann Get curious about some (fun)day tunes, including a selection from Ottawa's own Amos The Transparent! 10:00 AM Nov. 19th, 2018 Erik & Evan Get curious about JAD's vinyl release at Bellwethers Vintage - and Evan (of The New Local) is here too! 10:00 AM Nov. 5th, 2018 Erik Stolpmann Get curious about a little bit of Arcade Fire and the awesome CKCU vinyl collection! 10:00 AM Oct. 29th, 2018 Erik Stolpmann Get curious about the CKCU Funding Drive (one more time... with feeling!) And featuring The New Local's own Evan McKay! 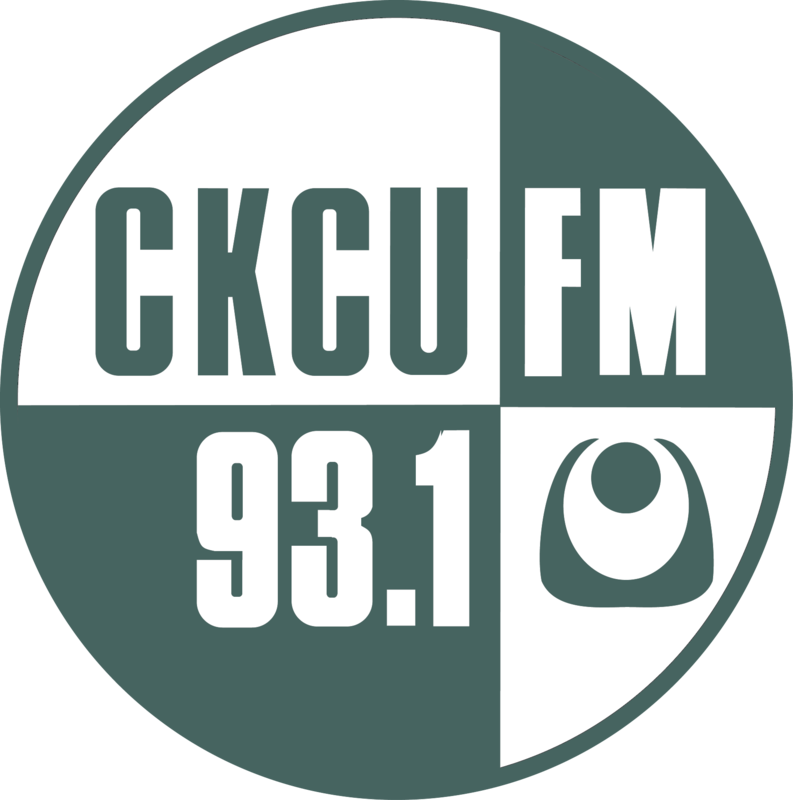 10:00 AM Oct. 22nd, 2018 Erik Stolpmann Get curious about the CKCU Funding Drive! 10:00 AM Oct. 8th, 2018 Erik Stolpmann Get curious about local tunes on this beautiful fall holiday! 10:00 AM Aug. 13th, 2018 Erik Stolpmann Local tunes! 10:00 AM Jul. 30th, 2018 Erik Stolpmann Get curious about trumpet player Andrew Knox and the 2 Hip To Be Square tribute night this Friday at Irene's! 10:00 AM Jul. 16th, 2018 Erik Stolpmann Get curious with a mixed bag of tunes, followed by a conversation with Chris Landry (of Chris Landry and the Seasick Mommas)! 10:00 AM Jun. 18th, 2018 Erik Stolpmann Get curious with Matty (aka Graven) about the local music scene! 10:00 AM May. 28th, 2018 Erik Stolpmann Get curious about MILADY AND TREVILLE and the OTTAWA GIG POSTERS vernissage! 10:00 AM May. 21st, 2018 Erik Stolpmann Get curious about this weekend's OTTAWA SHOWBOX CONCERT SERIES (featuring Sparklesaurus' LP release and more) with Matías Muñoz! 10:00 AM May. 14th, 2018 Erik Stolpmann Get curious about Chris Landry's 40TH CELEBRATION (Saturday at Irene's) and CAPITAL POP-UP CINEMA! 10:00 AM May. 7th, 2018 Erik Stolpmann Get curious about Radiohead tribute group IDIOTEQUE (playing The 27 Club this Friday) and the LOCAL OTTAWA LIVE NIGHT (Saturday at Babylon)! 10:00 AM Apr. 23rd, 2018 Erik Stolpmann Get curious about YouTube channel Polyphonic with content creator, Noah! 10:00 AM Apr. 9th, 2018 Erik Stolpmann Get curious about Christine Jakel's video release and Ottawa's Fleetwood Mac tribute band, Rumours! 10:00 AM Apr. 2nd, 2018 Erik Stolpmann Get curious with Arielle (Media & Events Coordinator at The Arthouse Café) about the Art House/​New Wave night! 10:00 AM Mar. 26th, 2018 Erik Stolpmann Get curious about DJ Emmett and the Friday I'm In Love dance party! 10:00 AM Feb. 19th, 2018 Erik Stolpmann Get curious about XiL! 10:00 AM Nov. 20th, 2017 Erik Stolpmann Get curious about the songs of Theme Songs (my first CKCU program)! 10:00 AM Oct. 23rd, 2017 Erik Stolpmann & Vaughn Prunster Get curious about Funding Drive '17! 10:00 AM Oct. 16th, 2017 DJ Emcee K Filling in w/​ yah Boi E! 10:00 AM Oct. 9th, 2017 Erik Stolpmann Get curious about the Door Youth Centre! 10:00 AM Oct. 2nd, 2017 Erik Stolpmann Get curious about Synapcity & Civics Boot Camp! 10:00 AM Sep. 25th, 2017 Stolp Right Now Get curious about Jo Marches! 10:00 AM Sep. 4th, 2017 Stolp Right Now Get curious about trading records! 10:00 AM Aug. 21st, 2017 Stolp Right Now Get curious about some #OttMusic shows coming up! 10:00 AM Aug. 14th, 2017 DJ Emcee K Evan Filling in! 10:00 AM Jul. 3rd, 2017 Stolp Right Now Get curious about #OttMusic at Bluesfest 2017! 10:00 AM May. 15th, 2017 Erik Stolpmann Getting curious about things happening in Ottawa! 10:00 AM Apr. 10th, 2017 Erik Stolpmann Get curious about a whole bunch of CanCon! 10:00 AM Mar. 27th, 2017 Erik Stolpmann Get curious about the 16th Community Record Show! 10:00 AM Mar. 6th, 2017 Erik Stolpmann Get curious about SometimesAlways! 10:00 AM Feb. 20th, 2017 Erik Stolpmann Get curious about the Johnny Cash Birthday Bash! 10:00 AM Feb. 13th, 2017 Erik Stolpmann Get curious about Hollow River! 10:00 AM Jan. 23rd, 2017 Erik Stolpmann Get curious about Lemmy Revisited! 10:00 AM Jan. 9th, 2017 Erik Stolpmann Getting curious about loads of covers! 11:00 AM Dec. 28th, 2016 Phelonius Friar An hour of some of my favourite tracks ... from my ears to yours (keeping some Q-Tips handy might be a good idea). 11:00 AM Dec. 7th, 2016 Erik + Subhraj + Vaughn Get curious about I Can't Believe It's Not: Talking Heads! 11:00 AM Nov. 23rd, 2016 Vaughn A window into Vaughn's recent listenings! 11:00 AM Nov. 16th, 2016 Erik + Subhraj + Vaughn Get curious about the Jessica Pearson Band! 11:00 AM Nov. 9th, 2016 Erik + Subhraj + Vaughn Get curious about what follows the funding drive! 11:00 AM Dec. 9th, 2015 Erik Stolpmann Thank You for Surfing With Me! 11:00 AM Nov. 4th, 2015 Erik Stolpmann Support the Permanent (Air)Waves of CKCU! 11:00 AM Oct. 21st, 2015 Erik "The Sound Surfer" Stolpmann Hold My Ballot, I'm Going In To The Funding Drive! 11:00 AM May. 27th, 2015 Erik "The Sound Surfer" Stolpmann Level Up!